The 2008 recession, the foreclosure crisis and Superstorm Sandy took an enormous toll on the communities in which our members work. Everyone around New Jersey has felt the impact - from our infrastructure to our businesses to the neighborhoods where we work and live. We are still recovering and our economy needs to get back on track - so that our residents have jobs that support vibrant opportunities in every corner of our state. 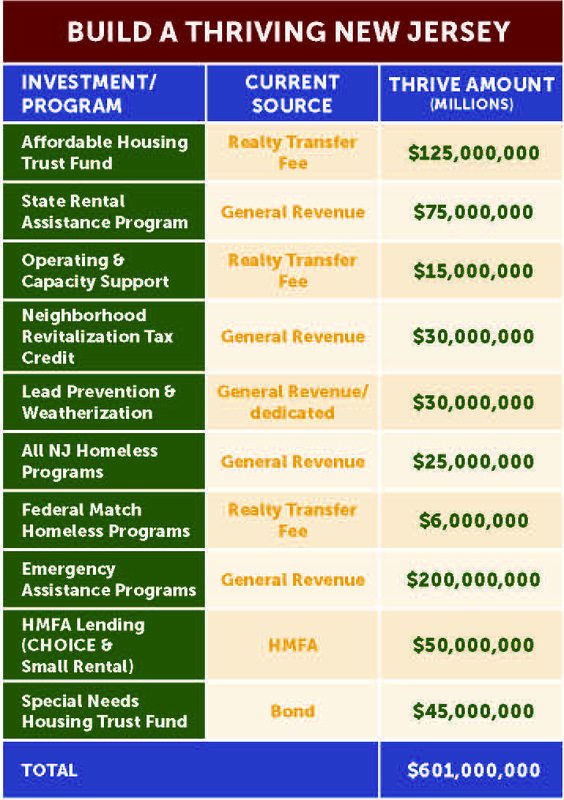 We have a simple solution: start with the basics of making sure everyone can afford to call New Jersey home. If we build homes we can afford, and revitalize the communities where we work and live, we can Build a Thriving New Jersey. Our families, friends and neighbors are the heart of our state and the backbone of our economy. If we can't afford to live here, we can't get our economy back on track. 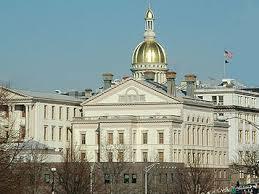 The next leaders of NJ must commit $600 million annually to create homes we can afford. 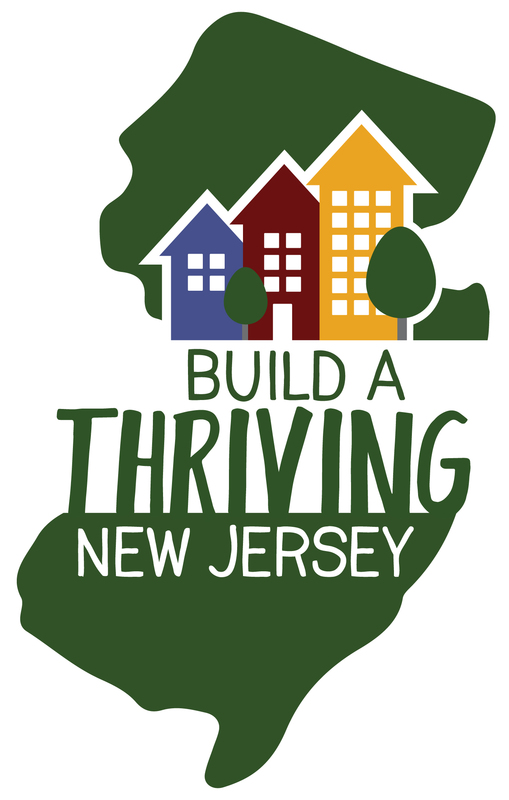 Read more about Build a Thriving New Jersey here. 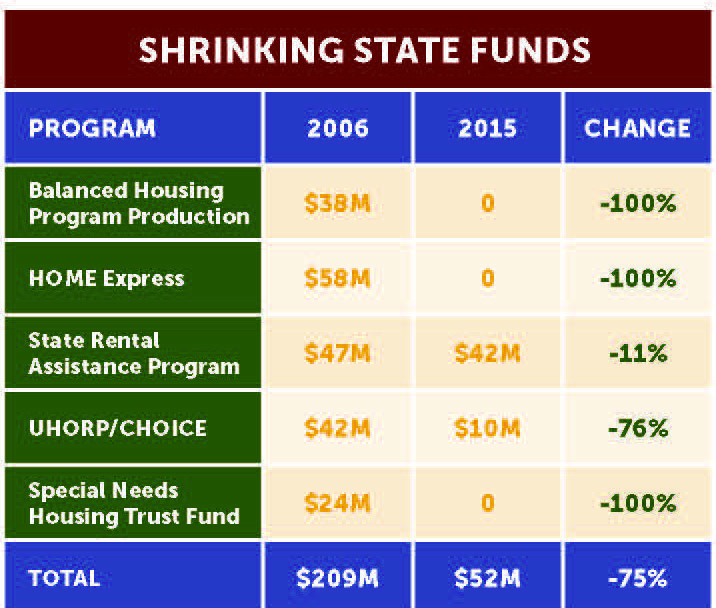 We have analyzed the investment the state has made over the last 30 years and urge our elected officials to deploy $600 million annually to a strategic set of programmatic investments (right). We're Building a Thriving New Jersey!